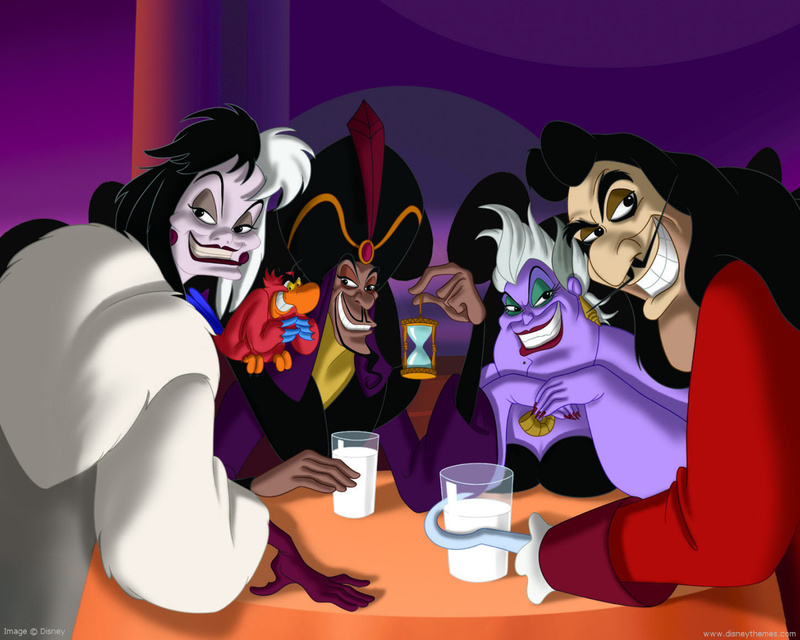 Characterization is a struggle for many writers, and often the most difficult role to work with is that of the villain. We know we want the reader to dislike him and root for the hero instead. We also know that he must act as a counterbalance to who our hero is inside. And we especially know that while our villain needs to be fully formed, he can’t steal the show. Because we’re writing the hero’s story, it can be tempting to paint the villain with as few strokes as possible. Being direct and succinct in showing who the villain is and what they want means more air time for the main character, right? Well, yes...but it also can lead to cardboard Muah-ha-ha type villains who come across as cliché. So how do we create a three dimensional, credible villain? And how do we make sure the reader dislikes them because of who they are, not because we tell them to? The answer lies in debunking a few emotion-related myths. 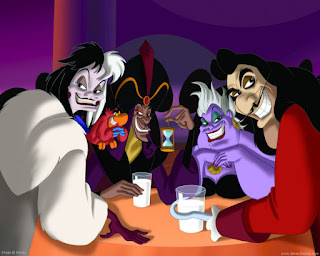 Some writers believe that because villains cause deep suffering, they must be immune to emotion. This couldn’t be further from the truth. Villains feel. They love, lust after, fear and worry. They show determination, pride and doubt. If they didn’t, they would not have goals and desires or feel moved enough to act on them. Heroes and villains are more alike than it might first seem. Both act based on their Internal Landscape (what a person feels moment to moment), and they each have a unique Emotional Range (how deep those feelings run). But, what might make the hero upset may not phase the villain at all. The Emotional Range also influences their moral code. Imagine a line in the sand. The villain will cross that line and do things to achieve their goal that the hero would not. Showing the emotions of both the protagonist and antagonist is important, so always make sure they always bleed through. Again, this is false. Villains should be as rounded as any other character and therefore experience a range of positive and negative emotions throughout the story. Villains are just as capable of love, respect and sympathy as the rest of us, if it fits with their Emotional Range. Powerful, positive emotions also give the opportunity for readers to identify with the villain on a human level. Hold it, did I just say identify with? You bet! Credible villains aren’t sadists in the sense that they are driven by positive feelings just like you or I (Satisfaction, Love, Happiness, Desire, etc). Showing the villain’s root emotions (positive and negative) reveals their motivations to the reader, and promotes a deeper understanding of who they are. On the outside of things, this might appear to be true. After all, the villain’s role is to chose a path and not be deterred by the hero. So while this in itself shows an inner core of strength, it is the writer’s ability to also show the villain’s weakness which will make the antagonist a fully formed, believable villain. How can weakness reveal strength? Simple. Each of us, hero, villain or reader, has a Wound. This wound is an experience from our past that hurt us enough that we have altered who we really are in order to protect ourselves from being hurt by it again. We have hardened ourselves in some way and actively avoid situations where the experience might repeat itself. Hollywood Screenwriter Michael Hauge refers to this as Emotional Armour. Wounds are powerful. The villain’s motivations will be rooted in protecting himself from the pain in his past. So, if you give readers a glimpse of his weakness, you provide a window into his personal suffering. In this way the villain shows vulnerability which will create empathy in readers. By using emotion, we help the reader understand a villain’s need or desire, but completely disagree with the path they take to satisfy it. Obviously the hero should have center stage, but the villain has a powerful role to play, and their motivations and actions must always be credible. Taking the time to understand who the villain is and what their Emotional Landscape looks like will pay off by providing a worthy adversary for your main character defeat. Angela Ackerman is one half of The Bookshelf Muse duo, and co-author of The Emotion Thesaurus: A Writer's Guide To Character Expression. 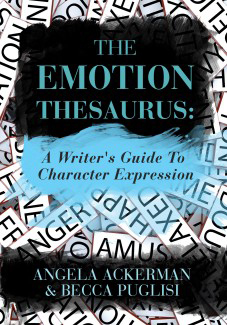 This show-don't-tell brainstorming tool contains lists of body language, thoughts and visceral sensations for seventy-five emotions, ensuring writers will find the right description for any emotional moment. So true Angela about villains. The interesting ones have feelings and experiences who drove them to be who they are. And like the hero, they think what they're doing is right based on their experiences. Great lessons, Angela!! It is so important to let the emotions shine through in our villians, if only to humanize them and make who they are harder to stand up to perhaps. I absolutely love villains and enjoy making them as humans as possible because really with just a flip of point of view our main characters could be the villain and the villain the protagonist! Great post! Thank you, Angela! I am struggling with my villains and you are so right about taking the time to make them well-rounded and deeply developed characters. Yes, definitely the best villains are those we really can understand what motivates the. Credible motivation is the biggest part of a fully-formed antagonist. Laura, that's exactly it. To the villain, he is the hero of his story. As writers, we need to show this. Hi Lori Ann--so glad this will help you. Developing all our characters, hero and villain carries a terrific pay off. Good luck with yours! Villains can be so fun to write, especially if you take the time to develop them. I wrote a book that had a little chunk of it from the villain's point of view and those were some of the funnest passages to write. I liked showing the reader that the hero's assumptions about the villain might not be entirely accurate and the villain's voice was so fun to write. I think Iago, one of the great villains of all time, belies all those myths. Such great advice! I especially like #2. So many villains out there only show cruelty and rage. There's something to be sad for a bad guy who is capable of feeling something softer, like empathy or guilt. I do really love the villains that I can connect with. I see it as, I really do not agree with where they go, but I can understand how they got their. So for me, if I read a story and I can identify with the antagonist as well as the protagonist, then I am usually quite hooked. Amen, sista! I think many newbies think this way when they first start out writing. BTW, love The Bookshelf Muse and all the info posted on QueryTracker . 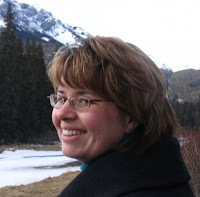 . . added both sites to my blogroll yesterday:) I just was offered a publishing contract and I seriously don't write without The Bookshelf Muse being open~cheers! @Becca It drives me crazy when writers go for the evil for the sake of evil out. An emotional rage is harder, but more rewarding AND interesting. Jr, that's it exactly. Empathy is important, even with villains. Jami, you are so sweet for saying so. And yes, OMG yes do explore Query Tracker. Not only is the sidebar loaded with great info, the forums are too. And Query Tracker itself. I am such a fan! Iago is the villain in Shakespeare's "Othello." In an age of somewhat cartoonish epics - IS there room for nuance? Hope so! Thanks Carrie & Stephanie! Haha, I was spelling it wrong. Just got a chance to read this, and perfect time, Angela. I'm working on planning the heroine and the bad guy for the series, and this is exactly what I needed to make sure he's a interesting and developed as possible.